January always strikes me as one of the most reflective times of the year. Spending time in December creating new goals and then jumping into them full throttle in January is pretty standard for most people. Compounded by my birthday falling directly in the middle of it, reflection is something that I find myself doing a whole heap of. But, why is reflection important and why should we be doing more of it during the year? I’m not sure if you’ll remember this, but during my early school years, we had something called a personal development portfolio. This was a folder with your name printed on it and it housed all of the weird and wonderful things that you got up to during your school career. For most of us, I think this was mainly a place to store our Kelloggs swim certificates and the odd commendation from a teacher. Later on, when you hit secondary school it was used as a reflective tool (and occasionally as a threat “Your personal development portfolio will stay with you forever!” Pfft.) – in PHSCE classes we were told to write down the things that we’d done well and think about the places that we could improve. I’m assuming that this is still part and parcel of education, in the UK at least. The point I’m getting to here is that it’s all about learning, reflection is a fantastic tool that we should be utilising more often as adults to reach our goals, let’s dive a little into how we can do this! What is reflection or self-reflection? It’s all about taking a look at your current standing and making some observations on things that you might have done better, recognising your strengths and putting a plan in place to help you overcome issues that you might uncover. Many job roles require a fair amount of self-reflection, especially those in education, social work, medical fields as well as the less obvious leadership/management roles. It’s important in these lines of work because you are working with people and making decisions that can have a major impact on the people around you. In some cases, a reflection will happen based on a simple event/something that happened in your day to day. In other cases, you might do a larger reflection on an overall time period such as a year or on a quarterly basis. It’s likely that you will do a mixture of these! Event: Tom went to a networking event set up by his university, there were multiple members of the chartered marketing institute there and he was able to mingle and ask questions during the evening. He spent most of the event chatting with his peers and didn’t make any connections or network. Reflection: Once home, he reflected on the experience and realised that he had missed an opportunity that could have possibly led to work after he graduated. Action: Taking this into account he makes a plan of action for upcoming events, he prepares ahead of time with questions and researching who the guests will be, he takes initiative – speaks to guests off of his own back and makes some great connections. Critical thinking – being critical of your own actions, attitudes or decisions. Empathy – being able to see things from others point of view. Communication – talking to others about your own reflections and discussing plans to move forward. Determination – the getup and go to put your self reflective outcomes into play. Awareness – of all the things that impact your decision making. 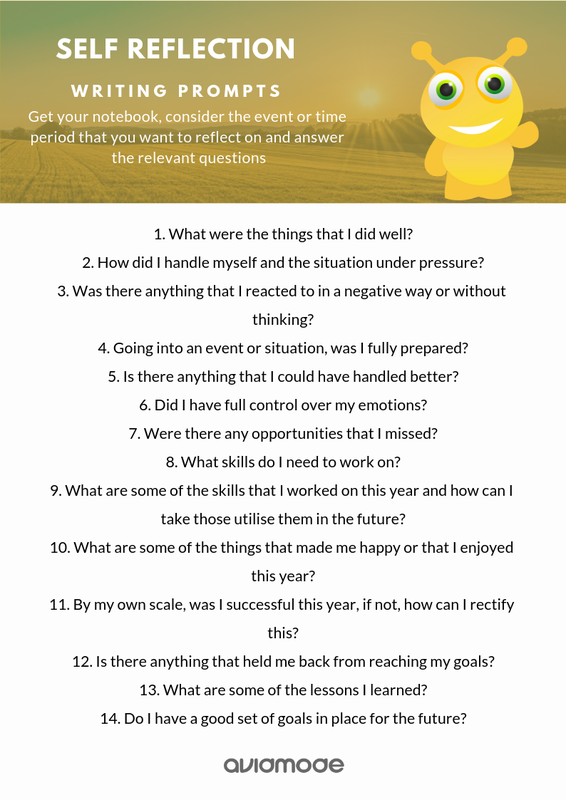 What are reflection questions to ask yourself? This one will depend on the timeframe you are using and if you are focusing on a particular event. Here are some suggestions that you can use as a writing prompt! 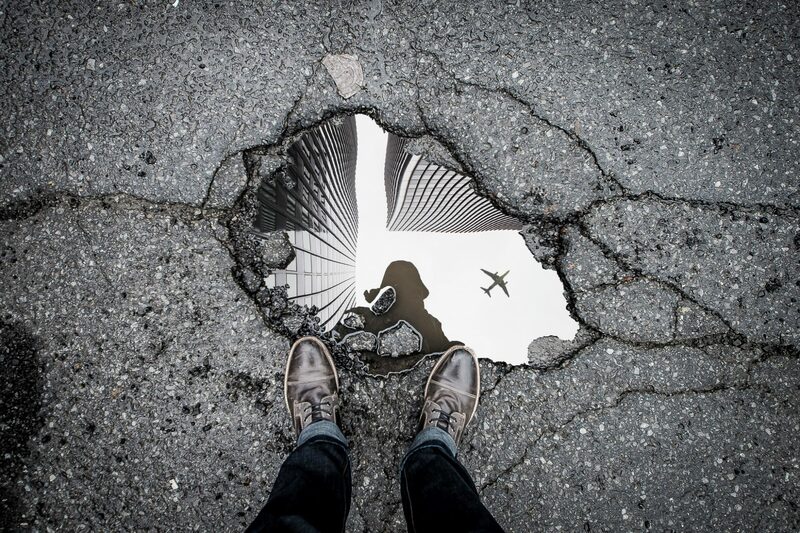 How can reflection help with your business? We are great believers in the “learning never stops” and once we come out of formal education it falls on our own shoulders to find those learning moments and really delve into them. As a business owner, it’s likely that this isn’t something foreign to you in the slightest, you are constantly putting yourself into new situations and experiences. Are you taking in those lessons through reflection and then actioning them though? The more that you can be in touch with your own goals and experiences the better it will be for your business. You’ll be able to teach others and it’s likely that the goals that you aim for with your business will be feasible! Is there such a thing as too much reflection? I’d say that there probably is – if you get stuck on something that you just can move past it’s usually a good idea to let it go and just get on with things. The point of reflection isn’t to beat yourself up, it’s about making moves forward and growing. There will be multiple opportunities for you to learn different things throughout your life and going in-depth on all of them is not the best idea. However, doing it a few times a year is a good midpoint between not doing enough or doing too much! 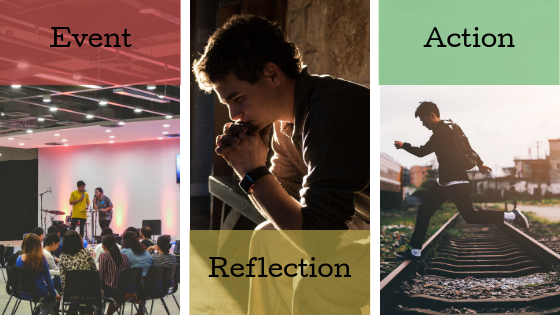 Hopefully, this post will give you some great ideas for your next reflection session! If you’d like to discuss some business goals or jump into setting up your online empire then give us a shout via our email hello@avidmode.com – we’d love to hear from you! Thanks for the images Marc-Olivier Jodoin, Federico Respini, Lee Yan, Simeon Jacobson and MD Duran.